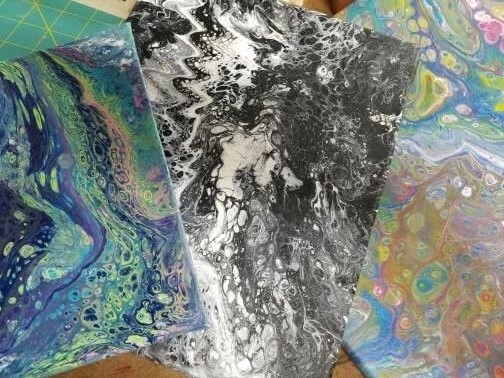 Advanced Paint Pour with Becci - Steph's Studio Inc.
WHO: Anyone who wants to learn to do an awesome pour painting. HOW: Picasso, the sequel! You thought solo cups were fun? Let’s try some other techniques to turn out more quality art, including your own geode look. We will do two 8 x 10 masterpieces.